George Frideric Handel’s “Messiah” has a way of uniting people, on the risers and in the seats. The 18th-century masterpiece is so accessible that teenagers with little musical training can learn to sing it confidently, especially when bolstered by those who could perform the score with one vocal cord tied behind their back. We’ll see both onstage during Grand Canyon University’s third annual performance of “Handel’s Messiah,” at 7 p.m. on Thursday in the Arena. Tickets are $25 and $12.50 ($7.50 for groups of 10 or more) and available at www.gcuarena.com. Presented by GCU’s College of Fine Arts and Production and its Music Department, “Handel’s Messiah” will be performed by the Phoenix Symphony with GCU’s Choral Society and Festival Chorus. 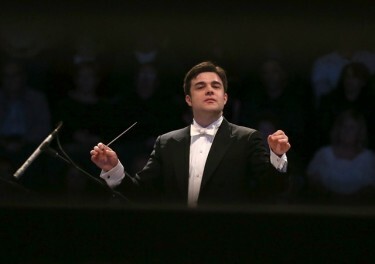 Michael Christie, the symphony’s music director laureate, will conduct for the second consecutive year. About 45 symphony instrumentalists and 300 vocalists from 11 area high schools and numerous church and community choirs, in addition to GCU’s Canyon Singers, New Life Singers and Canyon Chorale, will perform. The concert also will feature GCU faculty members as soloists. A few GCU faculty and staff have joined the chorus, too, including Anna Faith Smith, assistant dean of the College of Theology, who has been singing “Messiah” at GCU since she was a student here in the late ‘70s. To Smith, an alto, the work is as moving today as when she first learned it. “To see these Messianic prophecies from Isaiah and then to know that Handel, who was somewhat of a secular guy, thought it was so important to tell that story in a way that was musically moving … it was a masterful job,” she said. Once you’ve sung “Messiah,” you’ll never forget it, said MaryBeth Nipp, a GCU English professor who each Christmas looks for a local chorus to join. Twenty-four days, in fact. After receiving the Scriptural text from Charles Jennens, a friend and collaborator, Handel outlined the music for Part I (covering the prophecies of Isaiah and others and Jesus’ miracles) in seven days. Part II (Jesus’ crucifixion and resurrection and the spreading of the Gospel) came together in nine days, and Part III (Paul’s teaching of the resurrection of the dead and Christ’s glorification in heaven) was completed six days later, capped by two days of final editing. Handel wrote the piece for modest vocal and instrumental forces, and it was not adapted for performances by grand orchestras and choirs until after his death.